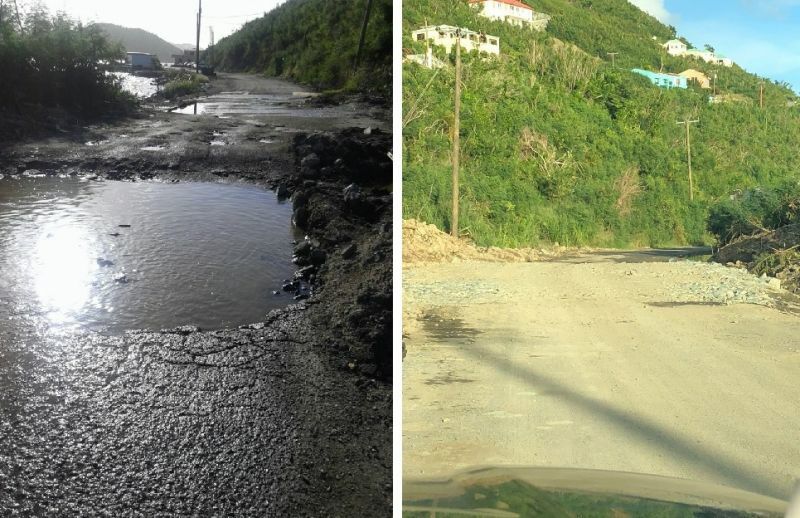 You are here: Virgin Islands News Online » News » Patch work on big West End pothole! Did JvD event make it possible? The huge pothole was there since Hurricane Maria in September 2017, and the pothole had grown so big with its muddy water and depth of over 3 feet, it had small fishes and tadpoles living in it. Well a day after our newsroom’s article, officers from the Public Works Department and a private backhoe patched the hole with rocks and dirt, making it much better for motorists traversing the road so close to the West End Ferry Terminal. Many residents called our newsroom to also debate that maybe our article had nothing to do with the Government addressing the pothole, as they may have fixed it only because of the big Old Year’s-New Year’s celebration at Foxy’s, Jost van Dyke. While we will never speculate as to why it was fixed to some extent, many motorists, pedestrians and visitors using the road are happy to see some improvements, and that is what matters at the end. It’s such a pity the time and money was spent repairing the road with no regard to drainage. There is now a pool of stagnant water trapped on the landward side of the patchwork. Have these guys not figured out that putting a few drainage pipe under the patch is the proper way to do things. Hon Vanterpool, are you and your management team at PWD still on vacation since Irma and Maria passed ? Why did it take VINO highlighting the gigantic hole for it it to receive a temporary patch— fill with rocks and dirt? Is this the best that PWD could do? Should not PWD have pot hole crews traversing the territory every day from East End to West End to Cane Garden Bay to Brewers Bay? Is the hot mix plant still out of service? Does PWD have an inventory of cold mix and is it using it to fix pot holes? Does PWD have an annual work plan for street maintenance, including pothole repair? Where is the Director of Public Works? No knock on Bummer but when is government going to staff the leadership of PWD with a civil engineer or a public works professional? The residents need some positive outcomes, do they not? Me havin o pay custom duty at aropost today - dem say GOVT no tellin truth bout extend custom duty waver. If you plan to buy property, do it now while government leave the place abandon. Waiting a year or 2, once the VIP gets in can only increase the costs significantly. The PWD has too many masters. To serve more than one is to serve none. VINO article vs Foxy's event!!! Nobody listens to you eh ??? Cuba at its worst, is better than us in potholes. They will have to regenerate you from your cryogenic chamber my friend as that's a long way off.........when do you remember the roads were good from east to west.........even after Hon. Mark spent $16M a few short years ago ! .........and that's just the roads on the south side ! 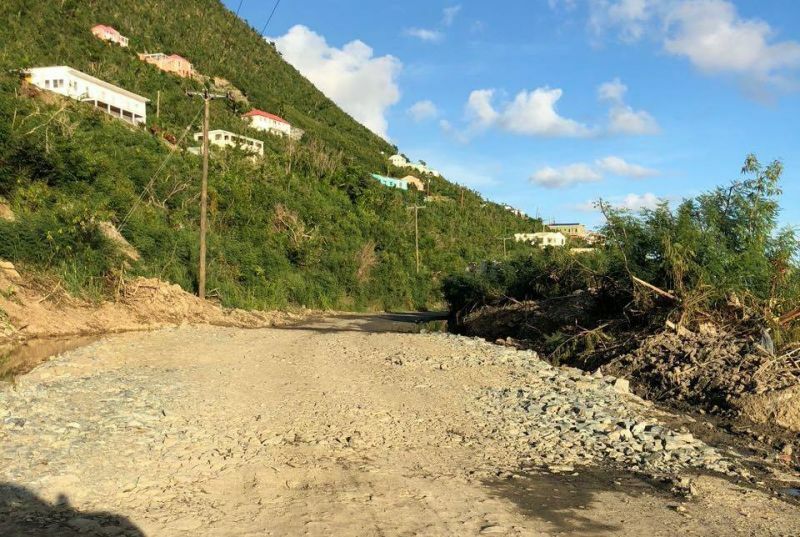 Vino please pretty please see when you can do an article on electricity restoration in the BVI. Find out what the plan is please.